What’s All the Fuss About Gluten? 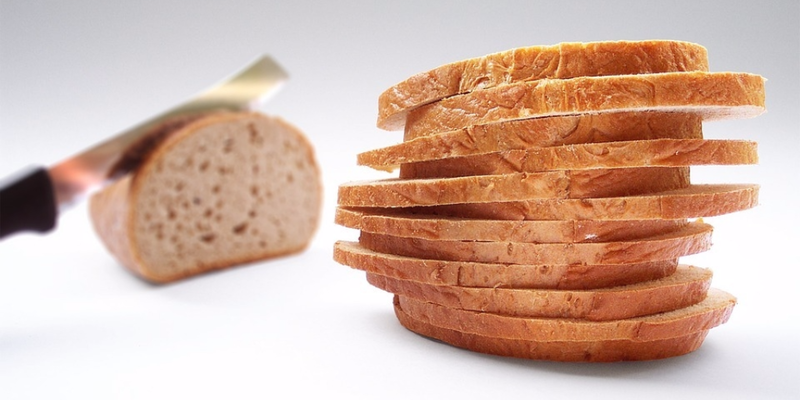 You probably spent a good portion of your life completely unaware of gluten. Then, almost overnight, everyone was up in arms about something called ‘gluten’. It was promptly labeled the villain of the food world with health magazines and food experts warning everyone to eliminate it from their diets. It felt as though every other person was claiming to be gluten intolerant and the search for gluten-free food hit an all-time high. In fact, it appeared that being sensitive to gluten was actually becoming a trend. You probably were wondering if you were missing out on something. Well, if you couldn’t understand the big deal about gluten, you certainly were not alone. While there is not as much controversy regarding gluten, it is still a hotly debated topic. If you are still feeling left out, some of the answers you will find here may help clear things up for you. While this word is frequently thrown around, many people are not actually aware of gluten is. Therefore, the first question that needs to be addressed is, what precisely is it? It might surprise you to learn that gluten is actually a protein. It is made up of two other proteins, gliadin and glutenin. Gluten is found in various types of grains such as barley, wheat, rye, and spelt. When water is added to these ground grains, a gummy dough is formed. This sticky aspect is a result of the gluten protein forming connections with one another. When this dough is baked, the gluten enables it to rise and also adds to the final, chewy consistency of the bread. Essentially, gluten is the part of the bread that makes it soft and chewy. Now that you are aware of what gluten is, let’s move onto the other pressing matter – why is gluten bad? The answer to this is less cut and dry. While there is no denying that gluten certainly is bad for some people, it does not cause a negative reaction in everyone. Here we take a look at who is affected and who is exempt from the effects of gluten. Remember how gluten is made up of two proteins gliadin and glutenin? Well, gliadin is largely responsible for the various side effects caused when eating foods containing gluten. It can trigger gastrointestinal problems such as bloating, diarrhoea, and gas. It can also result in an overall feeling of tiredness and sluggishness, even affecting your mood. As mentioned, this is not something everyone experiences. In fact, it is largely two groups of people that have issues with gluten. The first category contains individuals who have been diagnosed as having celiac disease. This is when the person’s immune system treats the gluten as a harmful agent. In response, the immune system attacks the gluten, targeting the lining of the gut as well. This can cause digestive disorders, anaemia, and even certain forms of malnourishment. Only a minute portion of the population are affected by celiac disease, however. The other group of individuals are those who are termed as having non-celiac gluten sensitivity. This is when there are no physical or genetic markers indicating celiac disease but similar symptoms are exhibited. This is not to be confused with a wheat allergy. There is a great deal of controversy surrounding non-celiac gluten sensitivity as many experts claim that people are merely imagining this reaction. There is some evidence supporting this theory, to a certain extent. Some people may not necessarily have a gluten sensitivity but may instead have other digestive issues. For instance, individuals with Irritable Bowel Syndrome react negatively to certain types of food. In many cases, cutting gluten out of the diets of people with IBS has proven to be effective. So, here you have it.The lowdown on gluten and why it is considered to be bad. Now you know what all the fuss about gluten is. Which Foods Are High in Gluten? Which Foods Are Low in Gluten?